Over the Hill or Classic? “They don’t make ’em like they used to” is probably an apt colloquialism here. The one thing very few, if any, of the contenders have been able to match is the ProVari’s build quality. It’s the standard against which I judge all other similar devices when I do reviews. The build tolerances are just amazing. In particular, I use what I like to call the stereo knob test. 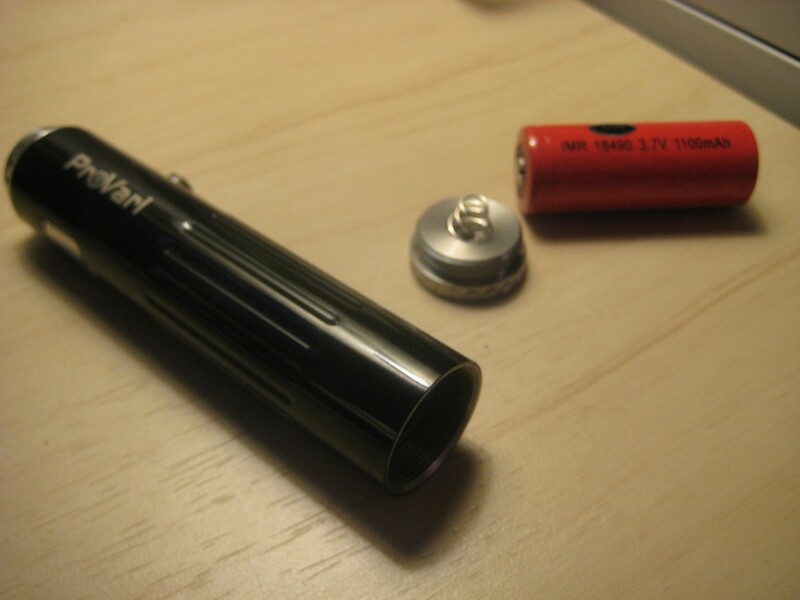 Screwing the battery cap on the ProVari is like turning the volume knob on a stereo receiver. It’s absolutely a fluid motion. Few other devices can do that. They end up feeling more like turning a screwdriver in a bag of rocks on the low end, at best, it’s a fairly smooth fit, but there’s noticeable resistance in the action. Then there’s the fact that the ProVari is made in the USA. Well, the body anyway, the electronics are still sourced overseas. That’s going to be worth more than any advanced feature to a certain subset of buyers. Personally, I can’t say that the origin of a product is more than a nice to have in my book, but I can appreciate how important that is to many people. Finally, there is the status symbol aspect. I know a lot of us deny it, but there is a certain aura around owning a ProVari. It’s akin to owning a fancy car, something that tells the world you have arrived. Deny it all you want my ProVari owning friends. But, let’s face it, have you ever heard anyone ooh’ing over a ZMAX? Alright, before you start entering hate comments over the elitist thing, let’s not forget I not only own two of them, but one of them has my site logo on it. How much more pompous can one guy get? Frankly, I don’t see the old gal going anywhere anytime soon. Those three factors I mentioned in the last section are enough to keep the brand afloat for a while. But, I also think that if ProVape doesn’t start doing something to innovate soon, it’s going to keep them from getting to the next level. It will remain a sort of boutique brand with a loyal fan base, but it won’t grow market share. The last two efforts the company’s made at modernizing have fallen a little short in my book. The re-design was kind of nice. I almost thought about buying one, but realized I probably wouldn’t really use it. And the USB pass-through add-on? What the hell? It costs a ton of cash and looks like it’s built from leftover stereo parts. I’m sure the good folks over at ProVape are working on the ProVari 3.0. And I really hope that it’ll be good enough to eat my words, because I really want one even though it doesn’t exist. Yes, I’m a fan boy. I’ll let you in on a little secret. One of the reasons I started this site was to have an excuse to buy my first ProVari. Alright, that’s enough of me rambling on. I want to hear from you, the comments awaits. Don’t forget Henley now sells some models of the ProVari and has a 15% discount code (HENLEY15) go check them out if you like. Disclosure: This article features affiliate links. No ProVaris were harmed in the making of this article.